intuitive, user-friendly toolbox without sacrificing their power and flexibility. Examples include Chromosome territory analysis. 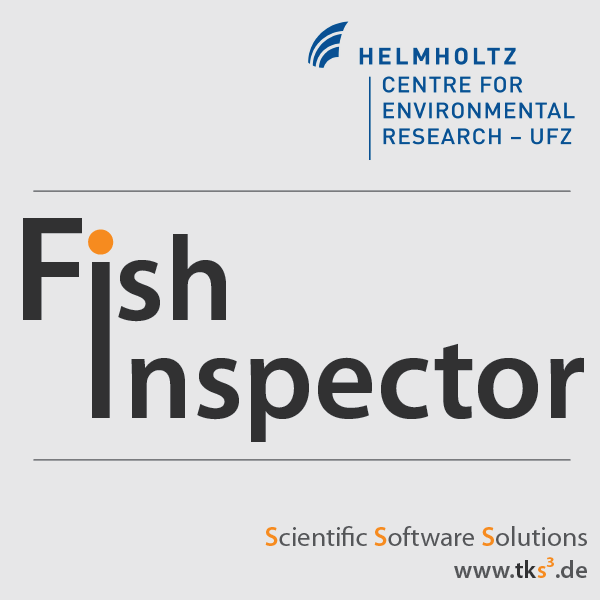 The software FishInspector provides automatic feature detections in images of zebrafish embryos (body size, eye size, pigmentation). 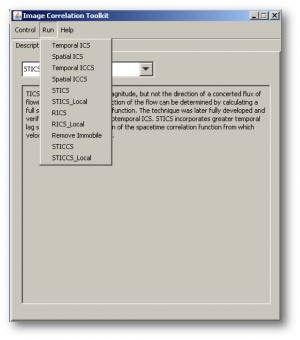 It is Matlab-based and provided as a Windows executable (no matlab installation needed). The recent version requires images of a lateral position. It is important that the position is precise since deviation may confound with feature annotations. Images from any source can be used. However, depending on the image properties parameters may have to be adjusted. Furthermore, images obtained with normal microscope and not using an automated position system with embryos in glass capillaries require conversion using a KNIME workflow (the workflow is available as well). As a result of the analysis the software provides JSON files that contain the coordinates of the features. Coordinates are provided for eye, fish contour, notochord , otoliths, yolk sac, pericard and swimbladder. Furthermore, pigment cells in the notochord area are detected. Additional features can be manually annotated. It is the aim of the software to provide the coordinates, which may then be analysed subsequently to identify and quantify changes in the morphology of zebrafish embryos. 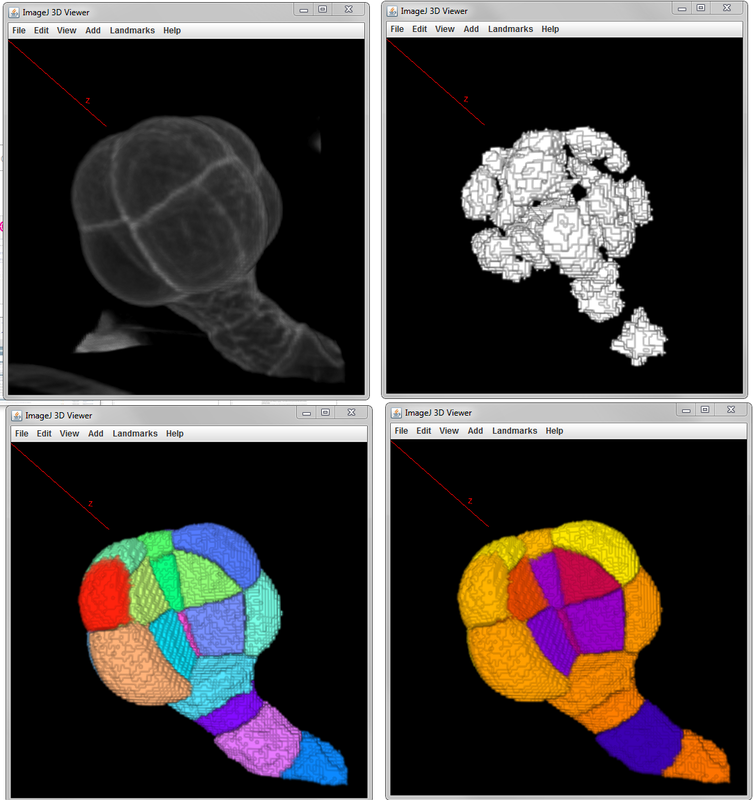 hIPNAT (hIPNAT: Image Processing for NeuroAnatomy and Tree-like structures) is a set of tools for the analysis of images of neurons and other tree-like morphologies. It is written for ImageJ, the de facto standard in scientific image processing. It is available through the ImageJ Neuroanatomy update site. Then for example in Matlab or R, you can apply a PCA analysis (Principal component analysis) followed by a k-means with the number of class (clusters) (different fibers type) you want to separate. You can then add this class as a new feature to your csv file. MorphoLibJ is a library of plugin for ImageJ with functionalities for image processing such as filtering, reconstructing, segmenting, etc... Tools are based on Mathematical morphology with more rigorous mathematical approach than in the standard tools of ImageJ in particular for surface (or perimeter) measurements which are usually based on voxel counting. Morphological operations : Dilation, Erosion, Opening, Closing , Top hat (white and black), Morphological gradient (aka Beucher Gradient), Morphological Laplacian, Morphological reconstruction, Maxima/Minima , Extended Maxima/Minima -Watershed (classic or controlled) -Image overlay -Image labelling -Geodesic diameter -Region Adjacency Graph -Granulometry curves, morphological image analysis. Fluorescence spectroscopy by image correlation is a technique that allows analysing and characterizing the different molecular dynamics from a sequence of fluorescence images. Many image correlation techniques have been developed for different applications but in particular to study the mechanisms of cell adhesion during migration. These techniques can be used with most imaging modalities: e.g. fluorescence widefield, confocal microscopy, TIRFM. They allow to obtain information such as the density in molecules, diffusion coefficients, the presence of several populations, or the direction and speed of a movement corresponding to active transport when spatial and temporal correlations are taken into account (STICS: Spatio-Temporal Image Correlation Spectroscopy). Please see 2580 for a review and the description of the methods. This plugin is based on ICS_tools plugin by Fitz Elliott, available [here](http://www.cellmigration.org/resource/imaging/imaging_resources.shtml "cell migration website"). Some bugs have been removed, ROI does not need to be squared, fitting is weighted in order to give more weight to the smaller lags (temporal or spatial) Exemple of use on sample data [fluorescent beads](http://biii.info/node/2577 "Beads") - Select an ROI, start by ICS to get the right PSF size - Then run TICS and select diffusion, or diffusion plus flow model. Remove the first line (autocorrelation) which corresponds to the noise autocorrelation before fitting. The Artemia Tools help to calculate the normalized redness of Artemia in color images. ilastik is a simple, user-friendly tool for interactive image classification, segmentation and analysis. It is built as a modular software framework, which currently has workflows for automated (supervised) pixel- and object-level classification, automated and semi-automated object tracking, semi-automated segmentation and object counting without detection. Most analysis operations are performed lazily, which enables targeted interactive processing of data subvolumes, followed by complete volume analysis in offline batch mode. Using it requires no experience in image processing. ilastik (the image learning, analysis, and segmentation toolkit) provides non-experts with a menu of pre-built image analysis workflows. ilastik handles data of up to five dimensions (time, 3D space, and spectral dimension). Its workflows provide an interactive experience to give the user immediate feedback on the quality of the results yielded by her chosen parameters and/or labelings. The most commonly used workflow is pixel classification, which requires very little parameter tuning and instead offers a machine learning technique for segmenting an image based on local image features computed for each pixel. Autocontext: This workflow improves the pixel classification workflow by running it in multiple stages and showing each pixel the results of the previous stage.